The Marketer of the Year is a prestigious award and gala event organized every year by BCAMA. This award recognizes the most outstanding marketing strategies in BC. With 47 years of history, behind it, the Award Gala 2017, which will be held from 5 pm to 9:30 pm on Wednesday, October 18, 2017, is bound to be fabulous. Every year, the judging panel honours a business that represents marketing excellence in the province with the title of Marketer of the Year. This year’s winner is considered the “most intriguing selection in the 47-year history of the award”. Although the winner won’t be announced until the evening of the event, this company’s story is guaranteed to impact your way of thinking about marketing. Marketing on a Shoestring: this category honours an exceptional marketing campaign developed and implemented on a shoestring budget – because great things can be done with a small budget and a lot of creativity! The Marketer of the Year’s Hall of Fame includes brands such as A&W, Vancity, Tourism Victoria, White Spot and Rocky Mountaineer. 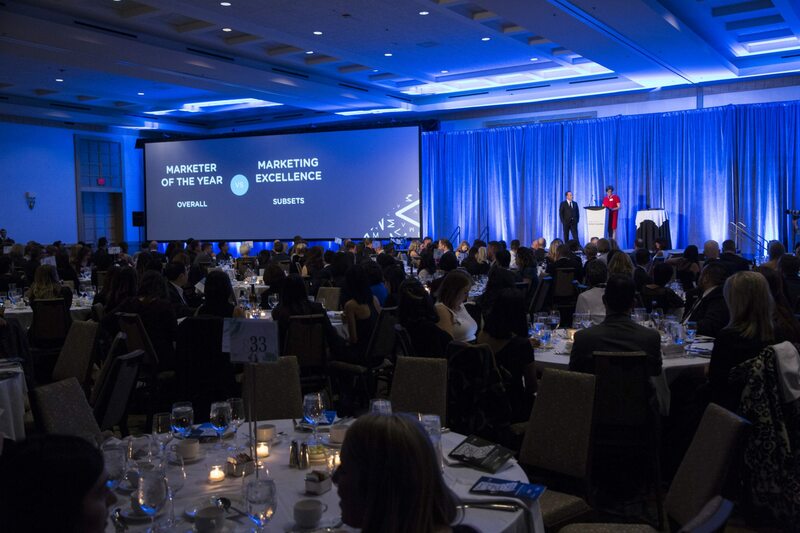 The 2016 edition of the event honouring BCAA as Marketer of the Year took place at the Westin Bayshore Hotel. Each year’s projects are analyzed by a panel of judges that includes top marketing professionals from a wide range of marketing specialties and industries. The traditional team of judges is a minimum of five marketers, with one position held for a senior marketing representative from the previous year’s Marketer of the Year winner. This year’s judges panel proudly has: David Nichols (Inventa), Susan Archibald (Suda Solutions), Kim Mech (President BCAMA & Judging Chair), Bryan Mavrow (First West Credit Union), Joe Freeburn (BCIT School of Business), Heidi Worthington (Pacific Blue Cross), Kari Grist (Candor Brand Counsel), Dee Dhaliwal (Western Living and Vancouver Magazine), Alexander Izzo (IBM), Grant Stockwell (BCAA), Lori Janson (Tourism Vancouver), Julian Scott (Shaw + Scott), and Mike Rodenburgh (Ipsos). The BCAMA 2017 Marketer of the Year Award Gala will be an amazing night of celebration. It is a perfect event for you to meet talented people that make difference through marketing and to get inspired by their ideas and creativity. With a new experience that will change the way you think about branding, this year’s event will be remarkable!